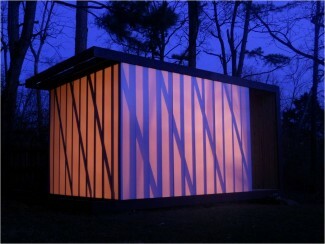 The polypod is a simple outbuilding with a multitude of possible uses. 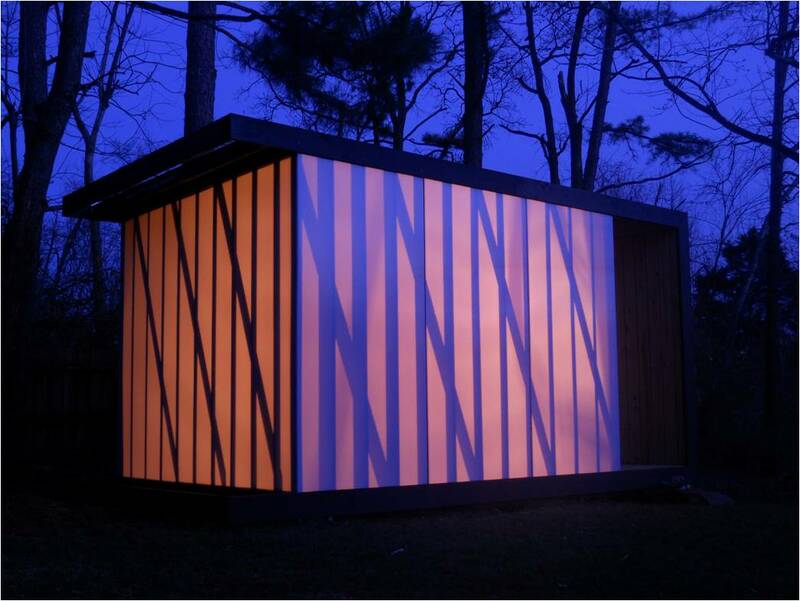 The project consists of a polycarbonate shell and an exposed wooden frame. The roof, floor, and wall "fold" to become the vertical limits of all other materials and methods. The polycarbonate panels are opaque white and emit enough light to the interior while giving a hint of the structural logic from the outside.